The Association is pleased to advise that we had a good response to our initial survey in 2013 following many poor results from flocks which had been inseminated, and took the opportunity to conduct a follow-up survey to fine-tune the findings and update the results with another season under scrutiny. Dr Simon Walker, former Principal Scientist with SARDI identified some protocols which needed to change in order to achieve higher conception rates. I am delighted to present the findings of the survey of Artificial Insemination programs conducted by Merino SA in late 2012. Dr Simon Walker and I put the questionnaire together and we are grateful for what was a very satisfactory response. Dr Walker has analysed the results at no cost to us for which we are extremely thankful. As you will see from his CV we have been fortunate enough to enlist probably the most qualified person in the sheep world to analyse our survey. 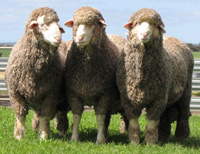 He has made some recommendations and identified some areas for future research which I am confident Merino SA will pursue with Australian Wool International. We trust that producers can move forward with confidence in our great industry.